Portrait Ceremonies ARE YOU A VENDOR? 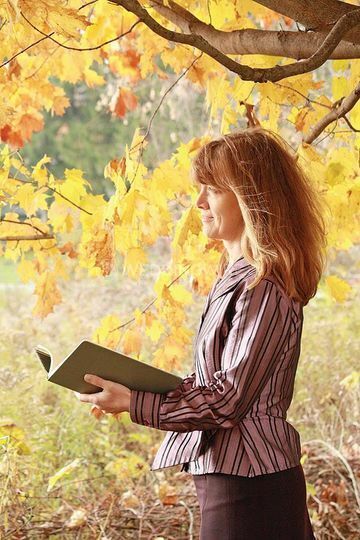 Based in Newmarket, Ontario, Portrait Ceremonies is operated by Laura Higgins. 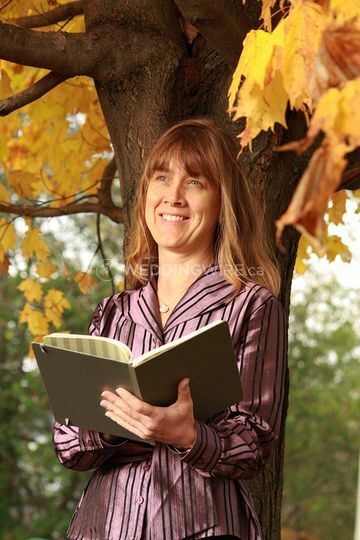 She is a licensed officiant and life-cycle celebrant who is passionate about doing her part in helping the vision of a prospective newlywed's important celebration be brought into reality. Drawn to this work due to her care for others, she is able to use this to help create a remarkable and meaningful day for the newly married. 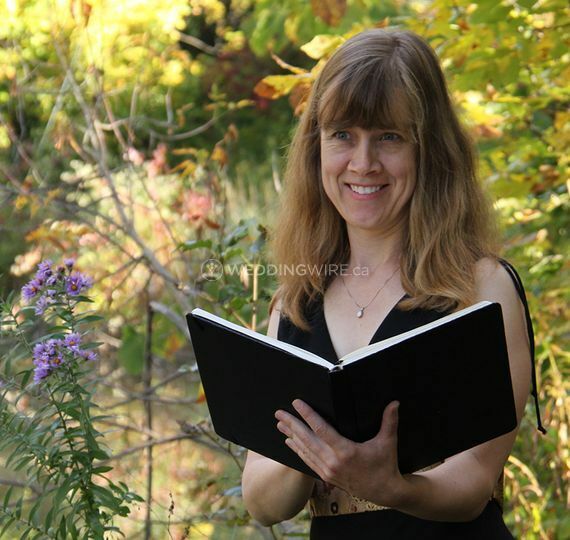 Laura provides her services for single religion, interfaith, non-religious ceremonies as well as rehearsals. For how the ceremony will go, couples have many options to choose from. 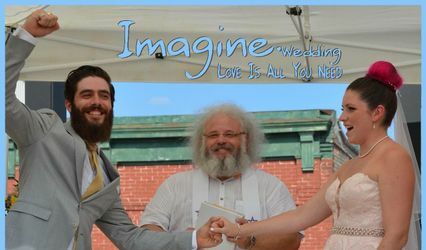 Laura specializes in one-of-a-kind custom-written ceremonies that reflect each couple's unique relationship. Each script and plan will be completely and fully approved by the soon-to-be newlyweds before it happens. 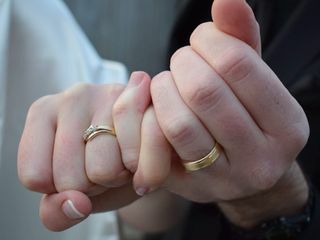 The customization option involves her learning about the future newlyweds such as their beliefs, values and what is important to them as well as what the day means to them. Additionally, family and friends present or absent can be incorporated in creative ways. Culture, multi-lingual aspects and religion can be included to the level of the to-be-married's desire. 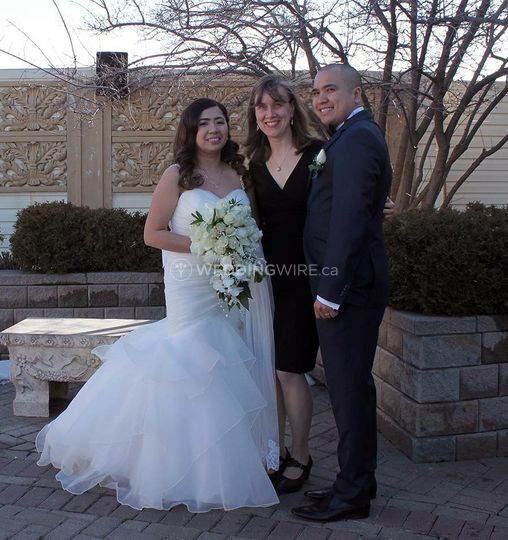 We had the pleasure of having Laura as our officiant last month for our wedding. She was absolutely incredible and made our whole experience such a positive one! Everything she did for us she put so much thought and effort into, and we are so thankful for all her advice and suggestions. She is very considerate and made sure that we were happy with absolutely everything. We are so glad we chose her to be there on our special day, our wedding definitely wouldn't be the same without her. Thank you Laura for making our wedding so memorable! Thank you so much Vanesa for your kind words. 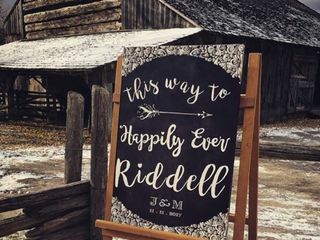 I absolutely loved creating your ceremony and including not only your special story and the wonderful things you love about one another – but also some thematic imagery connected to something you both love that has deep meaning for you. Nothing gave me as much pleasure as seeing you together, and feeling how much you love one another. I loved your bohemian themed wedding and the lovely ways that you included your parents and your dear friends in the ceremony. Thank you for the opportunity to be a part of your special ceremony. I wish you a beautiful life together. We loved having Laura as part of our experience and were truly honoured. 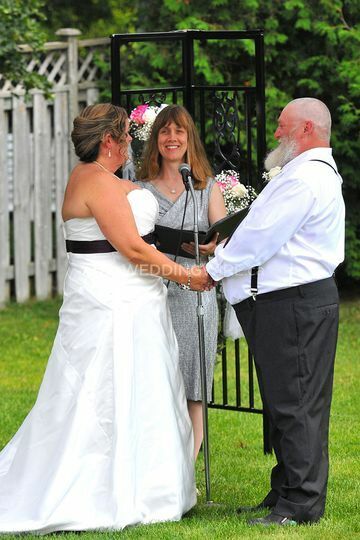 My husband and I are so happy that Laura was our officiant for our wedding. 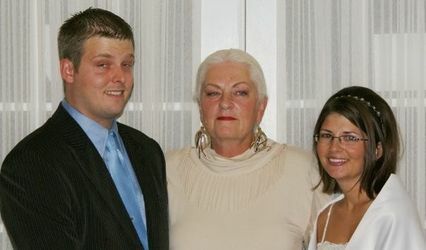 We loved having her as part of our experience and were truly honoured. There’s definitely a large group of officiants in the area but we chose Laura because she has such passion for what she does - it really shows. From the moment we first emailed to the first meeting, and then our wedding, she has shown us how kind, caring, and professional she is. We saw her attention to detail and was extremely pleased on how well her wedding service was executed. We are so grateful to know her and to have her perform our ceremony for us. She is a kind soul that really connects to the person she is helping. 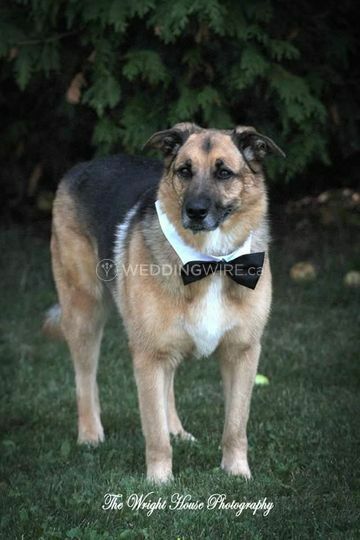 We had a few minor family and dog issues during the ceremony and she kept everything going very nicely. We didn’t feel the stress at all. We did sense one thing with Laura during that ceremony and that was how sincere and happy she was for us. 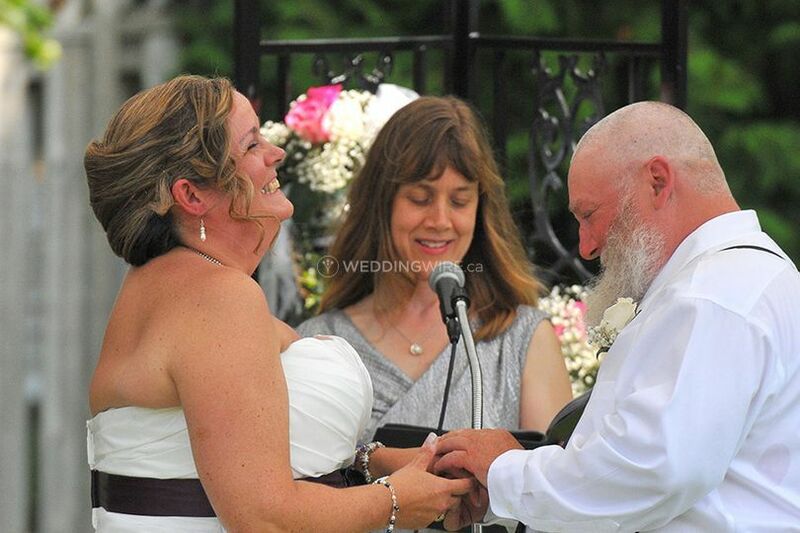 When we did our vows and the ring exchange she looked so happy and moved by our words to one another that it made me feel like we were in front of a friend. Laura has a real connection to her clients, their families, and those unique moments. I highly recommend Laura and hope she continues to touch lives around her. Jennifer, your words mean so much to me. I’m so very touched. Thank you. 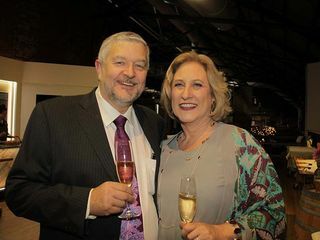 To be able to get to know and to help wonderful people like you and Chris in this way is what brings me so much joy as a Celebrant. Your vows were beautiful and moving – there is so much love. 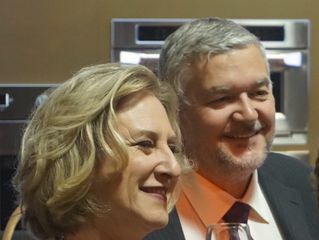 Connecting with you and your families was a pleasure and honour. Wishing you all the best now and always. Laura is absolutely worth her weight in gold and our guests were actually telling us afterwards that ours was the best wedding ceremony they have ever been too. Laura worked incredibly hard to get to know Matt and myself well and tailored our ceremony so that it was a customized reflection of us which it was. She was super responsive, quick to offer advice and supremely well organized which was also appreciated. Thank you Jennifer! I love that your guests felt that way about your ceremony. I truly enjoyed getting to know you both, learning your stories and what makes your relationship so special and then being able to share that through your ceremony. Learning more about Scottish wedding customs and including them was great fun as was learning a little Gaelic for a marriage blessing. You have been a joy to work with and I wish you and Matt every happiness! 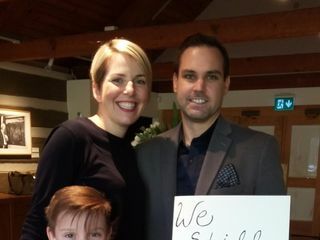 We approached Laura with a unique ask - an intimate vow renewal for our 10-year wedding anniversary, including our young kids. It was a private ceremony for just the four of us, led by Laura. It was everything I imagined and then some. My husband and I were both thrilled with the attention Laura gave us and our kids and the beautiful memory she created for the four of us. Our day was so special and will be remembered fondly thanks to Laura. Thank you so much Jennifer for your kind words. I absolutely loved co-creating your vow renewal ceremony with you and Dave and was inspired by your reflections and insights as you prepared to renew your vows. Having the children be a part of it made it extra special and coming up with creative ways they could participate was fun. You are an inspiring couple and I'm grateful to have gotten to know you. 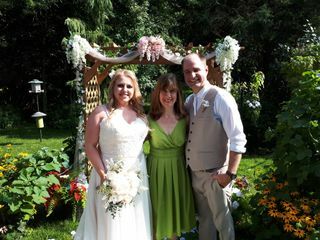 We are so happy that we went with Laura as out officiant. 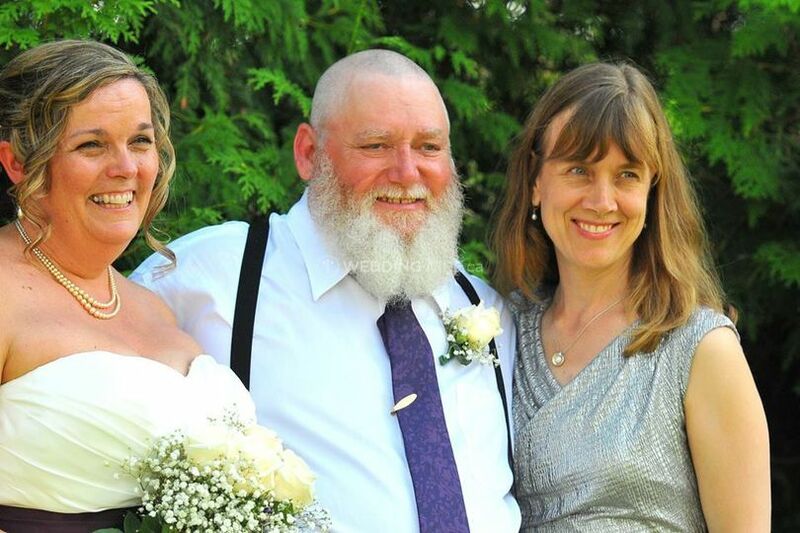 We didn't want a cookie-cutter ceremony and that's one of the main reasons we chose Laura. So many friends and family told us that they have never experienced such a personal ceremony, and that they loved our unity ceremony. Laura was great to work with! She gave us everything that we needed including advice we didn't know that we needed. Her responses are very fast and if we needed anything she was more than willing to help us. It's so reassuring to know that your vendor has your back. I would definitely recommend Laura to someone who wants a highly personal ceremony. Thank you so much Monika for your kind words and feedback. I'm so glad your friends and family enjoyed the ceremony so much and was happy to support you in any way I could! 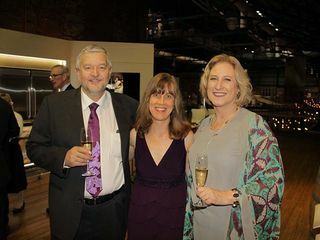 I really enjoyed getting to know you both, creating the ceremony with you and learning new things about your pastimes to understand and express the symbolism of your unity ritual. Thank you so much for choosing to work with me. It meant a lot to me. Wishing you all the best.